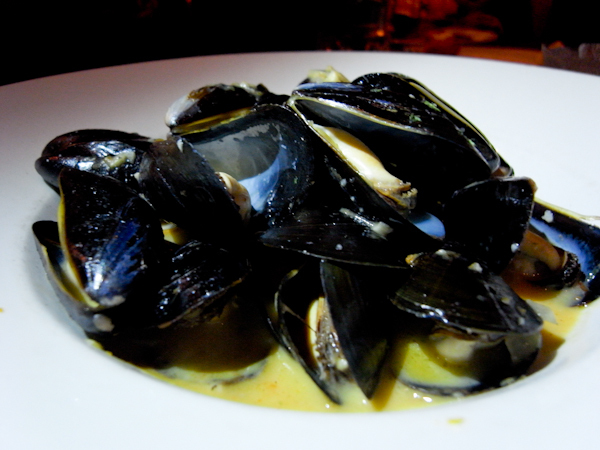 The restaurant looks newly renovated, everything is very modern and chic. It’s located right by the pier and has two stories (with a private party area at the top). It was a sunny mid summer afternoon so we get to enjoy the patio. Although we didn’t get the best view of the patio but it was really nice. It was an awkward brunch time: 2pm so the two of us ordered a few appetizers to share. 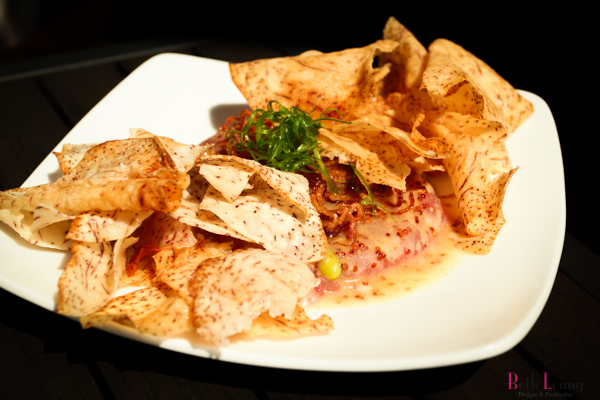 Hawaiian Ahi Tuna Tartar – Crisp apple mustard dressing with fried shallots & radish on Japanese sushi rice. Except they didn’t have any sushi rice, so we got extra taro chips. The taro chips were a little bit oily and taro naturally very filling and with it deep fried with that much oil, they seem to fill you up even faster. This would taste better if the taro chips are less oily. 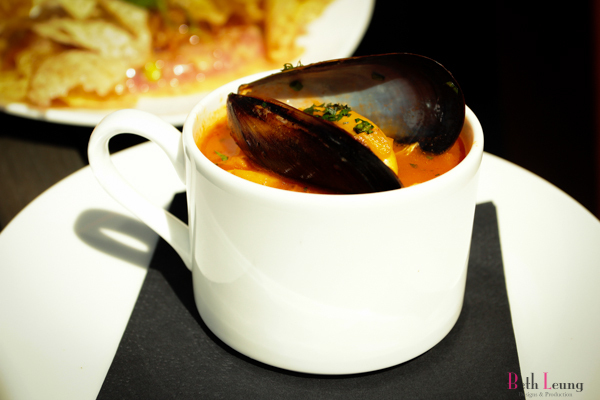 Seafood Chowder – Sautéed finfish & shellfish in a savory tomato anise broth. This was one interesting seafood chowder. Normally you would think this would be made in a cream base, but this one was by a tomato broth, which was rich and I just loved the tomato flavour! 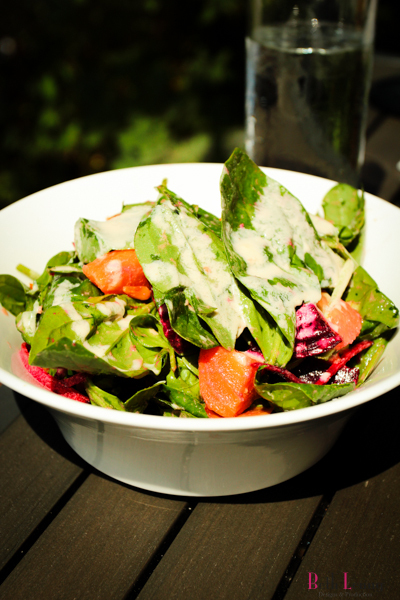 Summer Beet Salad – Spinach, pine nuts, orange & grapefruit segments. Delicious various of beets, with a very nice apple/pear dressing. Gave the whole salad a little bit more refreshing taste. This is a nice restaurant (at least for the appetizers that I have tried.) but I would have to say lack of professional service. The waitress and waiters seem so new to the environment that they don’t know much. Not only they look clueless, some of them seems very un-attentive. I can only imagine how it will get worst when it is busy. 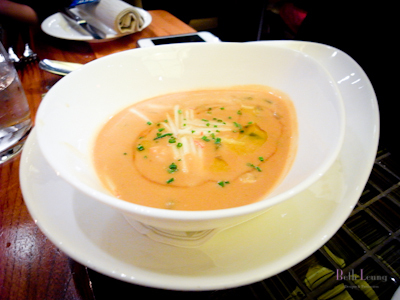 Appetizer: Lobster Soup – this is so yummy, with a little bit of truffle oil and the very smooth soup. Oh I just couldn’t forget the taste of this soup. 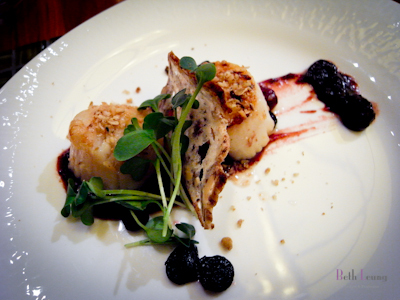 Appetizer: Seared scallops with BC cranberry sauce – what a great combination. Tender seared scallops served with a little bit of sweet fresh cranberry sauce. 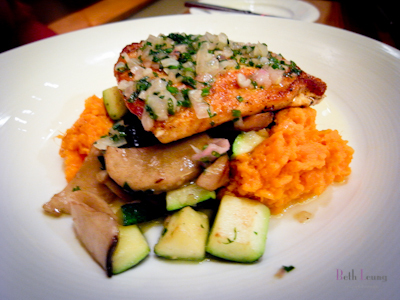 Entree: BC Trout with mashed yam – Yew IS just good with their seafood. Taste and texture are really well balanced. 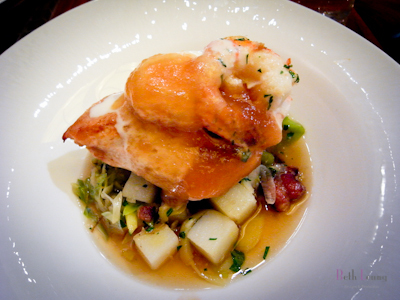 The trout was also not overly done with a citrus sauce. Entrees: Free run chicken with tiger prawns. 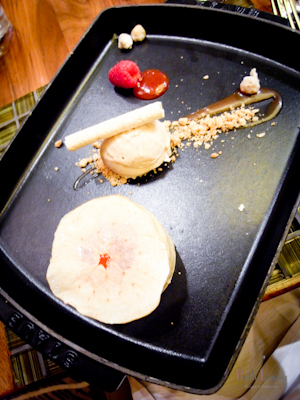 This one is also good, though it feels little Asian fusion. But after tasting the salmon, just couldn’t get it out of my head. 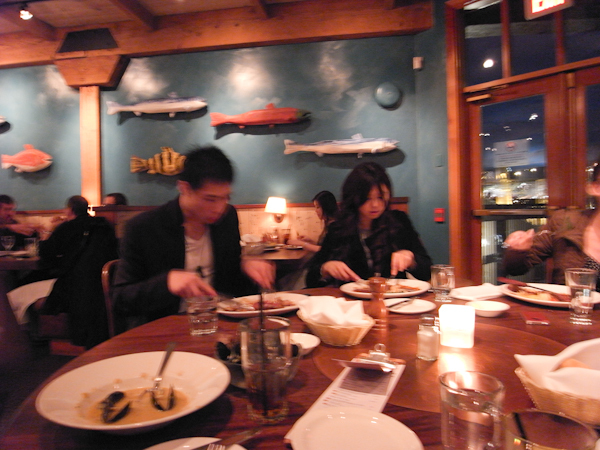 Just like the previous two times, I am in love with their fish and dessert. Of course very good service also. I would return again! I have heard of this place for a while but never got a chance to visit. My dad told me that their oyster burger was very good. 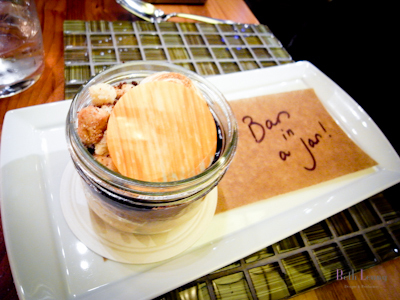 So finally for a friend’s birthday I have visited Sandbar on Granville Island. The restaurant is two levels high and sits half on water – the lower level is the restaurant and upper level is the Teredo Lounge. I am sure if you go as a couple and get s a window seat it would be very romantic and halfway through dinner it had live piano playing upstairs also! 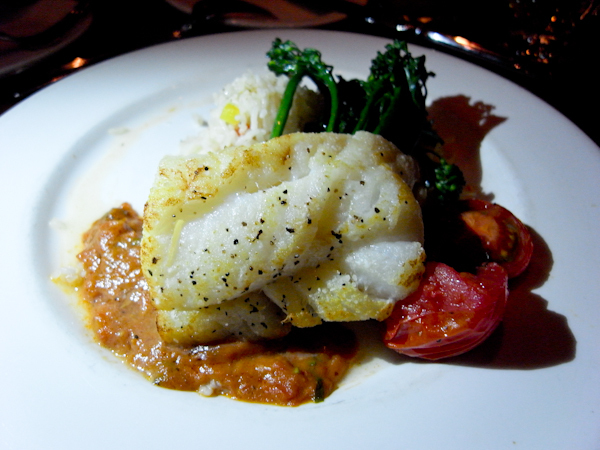 For my entree I had the daily special fish – Ling Cod with oven roasted tomato vinaigrette. Yes the cod is fresh and tender but I am not sure what sauce I was eating. It felt like water downed tomato juice? It was alright, I didn’t felt like that sauce was appropriate for the cod. I probably wouldn’t order this again.